The active substance of Dostinex is cabergoline, a dopaminergic agent, an ergoline derivative. Has a long and pronounced effect of reducing prolactin. Effects due to blockade of prolactin secretion as a result of direct stimulation in lactotrophic cells of the pituitary D2-dopamine receptors. 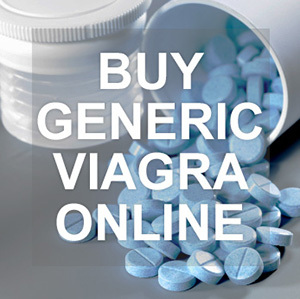 Dopaminergic ergoline derivative, which has a pronounced and prolonged prolactin-lowering effect. The drug inhibits the secretion of prolactin by direct stimulation of D2-dopamine receptors of pituitary lactotrophic cells. In addition, when taken at higher doses compared to those used to reduce prolactin secretion, cabergoline has a central dopaminergic effect due to stimulation of D2 receptors. Reduction in the level of prolactin in the blood plasma is observed 3 hours after ingestion and persists for 7-28 days in healthy volunteers and patients with hyperprolactinaemia and until 14-21 days – with reception for suppression of postpartum lactation. Dostinex is quickly absorbed in the digestive tract, the maximum concentration in the blood plasma is reached after 0.5-4 h. Food intake does not affect the absorption and distribution of Cabergoline (Cabaser). The half-life, estimated by the rate of excretion in the urine, is 63-68 hours in healthy volunteers and 79-115 hours in patients with hyperprolactinaemia. Due to the long half-life, the equilibrium state is reached after 4 weeks. About 41-42% of the drug binds to blood plasma proteins. Hypersensitivity to cabergoline or ergot alkaloids. Presence of data in the anamnesis of pulmonary, pericardial, retropericardial fibrotic diseases. Cardial valvulopathies (thickening of valve flaps, restriction of the valve, stenosis-restriction) are confirmed by echocardiography. Dostinex is usually well tolerated. When used to prevent and suppress lactation, most often there is a decrease in blood pressure, dizziness, nausea, headache, insomnia, abdominal pain (in most cases, these phenomena are mild and short). In the treatment of hyperprolactinemia, nausea, headache, lowering of blood pressure, dizziness, abdominal pain, dyspeptic phenomena, gastritis, general weakness, constipation, breast tenderness, hot flushes to the face, depression, paresthesia are most often noted. Usually, these symptoms are moderately or mildly expressed, appear during the first 2 weeks of admission and subsequently pass on their own. With the abolition of Dostinex, unwanted reactions disappear within a few days. Side effects of the drug are dose-dependent. In case of development of pronounced or uninterrupted side effects, a temporary dose reduction with a subsequent gradual increase (for example, 0.25 mg / week for 2 weeks) is necessary.